Surgeons are trained how to perform surgery safely--how to identify what structures should be cut and which shouldn't, how to know when the patient has lost too much blood, or is going into heart failure. There are rules about what to do when there is an injury, how to fix a nicked bowel or bladder, and how to make sure that the surgeon only cuts what he means to cut, and only sews shut what needs to be sewn. When these safety rules aren't followed, that is "surgery malpractice". If you or someone you love has been hurt by medical malpractice of a negligent surgeon, contact us right away. There is no reason to wait: the call is free and your consultation with us is free. But if you wait too long, important evidence may be lost, or it could become too late to file suit. Don't take a chance: contact us now. Give our experienced attorney a call at 972-230-6200, or email us the details of your case, to schedule your free consultation. Why Choose Polewski & Associates? You won't find another surgery malpractice team like us. And nobody will treat your family with more compassion or respect. But don't take our word for it: check out our video client reviews, our written reviews, or what the independent lawyers rating service AVVO has to say about us. Check out our qualifications. You won't find anyone like us. At Polewski & Associates, we've seen just about every type of surgery malpactice case there is (see "Cases We Have Handled") . Your lawsuit is how you make a negligent doctor take personal responsibility for the damage he caused. It is only fair that you be compensated for your harms and losses caused by a negligent doctor. Your surgeon has medical malpractice insurance for this precise purpose. Your lawsuit is also about stopping the malpractice. If you don't stand up and insist on justice, the same thing that happened to you could happen again. Your lawsuit could save a life. Get a second opinion. If you think your surgeon hurt you by medical malpractice, get another surgeon involved in your case right away. You deserve clear and complete answers. If you aren't getting them, you need a different doctor on your case immediately. If you are getting terrible nursing care, get out of that hospital and into a better one. Insist on talking to the hospital administration. People that insist on getting better care get it. Second, take pictures, take notes, get people’s names. You have the right to know everything that was done and everything that is being done—and after you leave the hospital important information may be lost forever, particularly if the hospital is trying to cover up what happened. Have your family or a friend with you at all times. Third, call us right away. There is no reason to wait: your consultation with us is free, and we will do all the work on your case. Together, we will work to answer any questions about your surgery malpractice case. A delay can mean that evidence is lost, witnesses forget, or your deadline to sue is past. The time to get started is right now. Tens of thousands of American have weight loss, or "bariatric" surgery, every year. Doctors who specialize in these surgeries put up billboards and take out radio ads to get more and more patients into virtual assembly lines for gastric sleeve and gastric bypass surgeries. What they don't tell the public on those billboards or in those radio ads is that these operations are very dangerous. 1 out of 350 people who have weight loss surgery die due to complications associated with bariatric surgery. 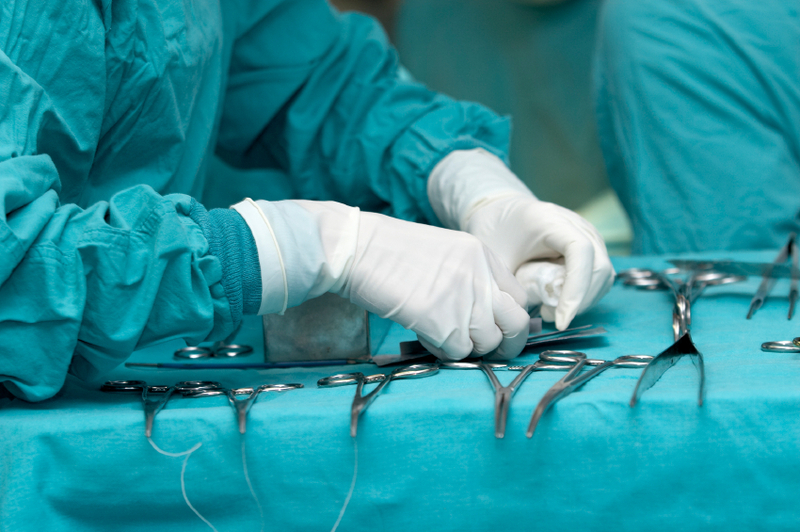 The number of people who suffer serious injuries due to medical malpractice during weight loss surgery is much higher. At Polewski & Associates, we have represented patients who have suffered terrible infections, liver damage, bleeding, loss of their intestines and inability to eat normally after weight loss surgery. We have represented the families of people who have died because of mistakes made by surgeons. In every one of these cases, the surgeon violated a basic safety rule that would have prevented the injury. The rules were violated because the surgeon was poorly trained, because he was trying to do too many surgeries in a day or because he simply wasn't paying attention. This is malpractice, and if you or someone you care about has been hurt by weight loss surgery malpractice, we can help. Cosmetic and plastic surgery is so common that people have gotten the idea that these procedures are "safe." Cosmetic and plastic surgeons who make huge salaries doing these surgeries advertise how quick and easy they will be. Unfortunately, these procedures can be very dangerous—even fatal—if surgeons don't know what they are doing, or if they fail to follow safety rules that are required for these surgeries. As the popularity of cosmetic and plastic surgery grows, there has been a frightening trend developing in this country: unqualified doctors performing cosmetic and plastic surgery just to make money. Some doctors who have no plastic surgery training at all are opening "Medical Spas" or "Rejuvenation Clinics" and advertising cosmetic procedures. Many of these doctors go to a weekend course and then hold themselves out as being competent to perform procedures like liposuction, face-lifts, and dermoplasty. Unsuspecting patients who think they are getting a trained plastic surgeon instead are treated by a doctor with little or no training in surgery—a doctor who most likely will not know what to do if things go wrong. Gall bladder removal surgery using tools inserted through small incisions, a surgery doctors call "laparoscopic cholecystectomy," is one of the most common surgeries performed in the United States. But "common" doesn't mean "safe". These surgeries are safe only if the surgeon removing the gall bladder follows basic safety rules. If the surgeon cuts corners or doesn't pay attention, his patient can pay a very high price for the doctor's mistake. Like any surgery, gall bladder surgery has to be done in a specific way. Doctors are trained in methods to prevent injuries during gall bladder surgery. They have rules to follow that should make it impossible to cut or clip the wrong structure in the body. When these rules aren't followed, people get hurt and they die. At Polewski & Associates we have represented many people—men and women, young and old—that were badly hurt because basic gall bladder surgery safety rules weren't followed. Our clients have suffered multiple additional surgeries, have lost parts of their intestines, have lost their livers—or even died—because their gall bladder surgery was done wrong. This is malpractice, and it is inexcusable. Typically hysterectomy surgery is done with a laparoscope, with incisions that are small and not noticeable. But this is still major surgery. And it is anything but "safe" if the gynecologist doing the surgery doesn't follow the safety rules for doing these surgeries. When you or a woman you love gets hurt by a careless gynecologist during a hysterectomy, or because the gynecologist didn't pay attention to problems after the surgery, your lawsuit is about simple fairness. The doctor's medical malpractice insurance should compensate for her injuries and losses. Your lawsuit is also about preventing someone else from being hurt in the same way. "Giving a pass" to a negligent doctor just encourages more negligent behavior. Your lawsuit could literally save a life. Orthopedic surgeons operate on people's bones—from spine surgery to hop and knee replacements to sports injuries to broken arms. Today's orthopedic surgeons have technology and technique that would have seemed like science fiction only fifty years ago. Unfortunately, the newest and best techniques and technology do no good at all if they aren't used correctly, or if the orthopedic surgeon isn't paying attention. At Polewski & Associates, we have represented many people injured when an orthopedic surgeon violated a basic safety rule—like cutting an artery that should not be cut, or sewing a being shut by mistake, or using the wrong size artificial knee, or failing to measure before cutting. These were all different cases and different patients, but every case involved the same thing: an orthopedic surgeon who was cutting corners or not following basic safety rules. It is only fair that your doctor's malpractice insurance compensate you for your injuries, and your lawsuit could prevent what happened to you from happening to somebody else. Everyone is better off when medical safety rules are enforced. Your feet and ankles contain a staggering 52 bones, 33 joints, and more than a 100 muscles, tendons and ligaments, along with a complex web of blood vessels and nerves. They are incredibly strong and resilient, a marvel of engineering that no human being could design. Unfortunately, medical malpractice by a podiatrist operating on this engineering marvel can create permanent and disabling injuries that destroy the quality of their patients’ lives. Foot doctors, also known as podiatrists, are licensed doctors who concentrate on caring for and doing surgery on people's feet. They handle everything from ingrown toenails to complex surgery on bones in the feet. And when they get it wrong, the consequences can be devastating. Many of our clients have made the mistake of trusting their podiatrist to do two, three or even more operations in a futile attempt to fix problems caused by the mistakes the podiatrist made in the first surgery. These multiple surgeries have left our clients with disfigured feet that nobody can fix. 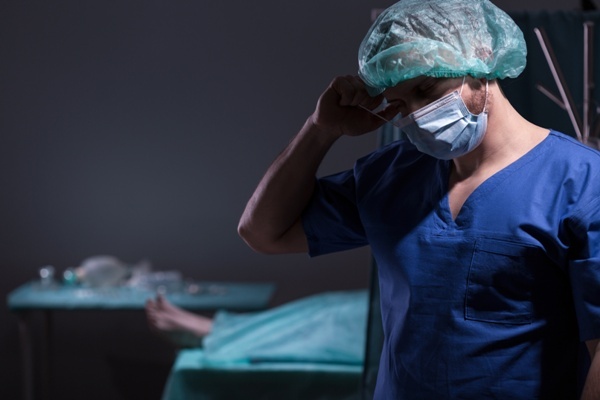 If you suspect that you or a family member have been the victim of surgical malpractice, there is only one way to know for sure—work with Polewski & Associates. When you choose our attorney, you can be comfortable knowing that you are choosing a board certified trial specialist with over 25 years of experience handling a wide variety of medical and surgical malpractice cases. Throughout his career, Mr. Polewski has handled almost every kind of medical malpractice case imaginable, including numerous types of surgical malpractice cases. Please call our experienced team today at 972-230-6200 to schedule your FREE initial consultation. Polewski & Associates proudly serves clients in the Dallas and Little Rock areas, as well as throughout Arkansas and Texas.